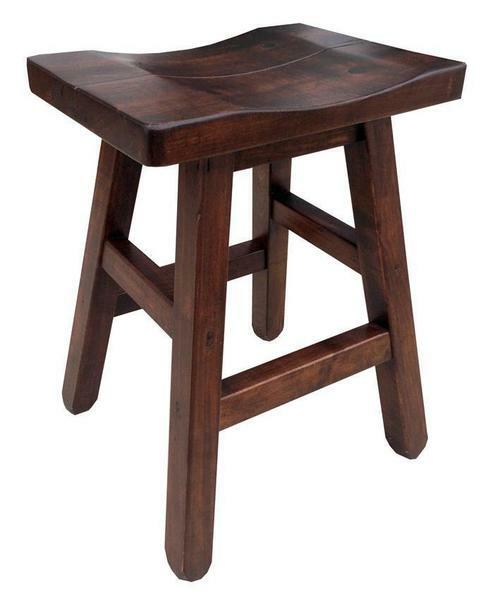 The Amish Ruff Sawn Saddle Stool with Splined Seat creates a rustic modern look you'll love. Built with rough sawn lumber, this technique displays surface imperfections such as pin holes and saw marks to create a unique texture and style. These Amish handcrafted stools are ready to complement your ranch style furniture with a rustic appeal that has become very popular. Sidle up to your kitchen counter or bar on these exciting stools and enjoy casual drinks, meals, and conversation! We invite you to learn more about the modern rustic chic look in our exciting blog post. Catch up on what "Country Glam" is all about and recreate the same style at home with your choice of solid wood to start. These Amish made stools begin with the finest select hardwood-a natural and renewable resource. These comfortable but rustic saddle stools make an inviting seating option for casual dining and gathering. With the kitchen being a source of daily activity, these Amish stools provide the right seats for homework at the counter as well. Maximize a smaller kitchen area with a set of Amish stools that don't take up much space and are portable to use elsewhere when needed. Complete your ranch style furniture collection with a set of these exceptional stools. Call one of our Amish Furniture Specialists today at 1-866-272-6773 with any questions. Seat Height: 24", 26" or 30"